From thrift shopping to high-end luxury brands, locals and tourists look for the mall that has it all. From the finest dining to movies to a variety of retail shops, they are looking for a one-stop shop. The new McDonald's value menu might be having its intended effect for the fast-food chain: adding value to the bottom line. Price increases and customers buying premium products helped boost McDonald's first-quarter sales. The economy is booming, so why can’t U.S. grocers hike prices? Good luck raising prices — even if the economy is humming. Grocery chains have long awaited the right conditions to charge more for their products, and a broad view of the U.S. would suggest this is their moment: Unemployment is near historic lows, consumer confidence is high and inflation is inching upward. Chico's FAS, the parent company of Chico's, White House Black Market and Soma, announced Monday it plans to sell Chico's merchandise on Amazon. Chico's shares had jumped more than 4 percent in the premarket, but then retreated and were down 1 percent in the regular trading session. Many of America’s biggest retailers, under assault from Amazon.com Inc., have been slashing staff even faster than they have been closing stores, a dynamic that has left fewer clerks and longer checkout lines at remaining locations. The Massachusetts restaurant chain 110 Grill is set to open a new location in downtown Worcester on May 22. The rapidly-expanding company has 13 locations throughout Massachusetts and New Hampshire and plans to add 10 more in the coming year. One of those locations is at 123 Front St. in Worcester, next to the new AC Marriott hotel. While more consumers are buying their groceries online, they aren’t ready to give up their store visits just yet. About 10% of consumers across the United States are now regularly buying groceries online, however the adoption of online grocery shopping is moving at a slower pace than other consumer categories, according to new data from The NDP Group. Wegmans will finally unveil its two-story megastore at the Natick Mall in Natick, Mass., Sunday. Amazon is increasing the price of its Prime membership from $99 to $119 starting on May 11. The company just announced the price increase on its first quarter earnings call, attributing the spike to the service's rising costs, and noting that this was its first price hike since March 2014. 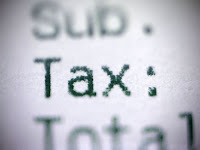 Internet Sales Tax: A Game Changer? Have you been paying sales tax on your online purchases? The commercial real estate market is extremely competitive and enticing major brands to select one development over another requires more than just “location, location, location.” With everything getting “smarter,” from devices to cities, the expectation for brands is that real estate property will keep pace with evolving technical standards. Up until now, branding considerations in property design have taken a backseat in terms of developers’ top priorities, but they will become increasingly important as the experience economy continues to mature. Major mall REITs such as GGP Inc., Macerich and Simon Property Group have arguably already captured the best of Sears Holdings’s fleet of stores, through a series of 50-50 joint venture and outright sale transactions since 2012. GNC plans to close some 200 stores this year, depending on the outcome of lease renegotiations or relocation opportunities, which are ongoing, and expects few new stores to open this year, the company also said. Abercrombie & Fitch Co. hosted its annual investor meeting in New York on Wednesday and shared its aspiration to be a $5 billion business and some of the steps it will take to hit that goal. Kohl's outgoing CEO, Kevin Mansell, said the retailer's efforts within the past year are helping drive new shoppers to its stores, while retaining loyal customers. Charming Charlie is no longer bankrupt. But it has fewer stores. The culture is changing. Can Victoria's Secret keep up? Fewer young women are buying from lingerie retailer Victoria’s Secret, and analysts point to shifting sentiments among consumers as a possible reason. MGM Resorts International announced early Thursday that it plans to open its $960 million MGM Springfield resort on Aug. 24. In February, 2017, Macy’s contracted CBRE Inc. Real Estate to sell 32 locations in 20 states, many of which were in shopping malls. Toys R Us and JCPenney are among other brick and mortar retail chains struggling to survive, this all according to MassLive.com. Mother’s Day spending is expected to total a near-record $23.1 billion this year, according to the annual survey released today by the National Retail Federation and Prosper Insights & Analytics. A total 86 percent of Americans will celebrate Mother’s Day and spend an average of $180 per person. Decathlon has dropped anchor in San Francisco and Canada — but don’t expect Nike or any other familiar global brands. Few people on Wall Street believe in Eddie Lampert like Eddie Lampert. Thirteen years after merging Sears, one of America’s most iconic retailers, with the budget Kmart chain, the hedge-fund billionaire is moving -- again -- to salvage what he can. In response to an analyst question about strategy for Wynn Boston Harbor, CEO Matt Maddox echoed his previous statements regarding the future of the under-construction facility in Everett. Maddox said that, while Wynn Resorts likes the Greater Boston market, the company could be willing to sell the project should it pose a risk to the company’s bottom line. Big Y Foods has completed renovations to its Milford and Easton, Massachusetts, stores. Construction began in Milford in February and cost $1.9 million, while construction in Easton began last October and cost $1.6 million. The company said it spent a total of more than $5.4 million on the renovations. Is Guitar Center Hanging By A String? The S&P recently reduced the Guitar Center's corporate credit rating further into junk status. S&P does not see the retailer — with more than 250 stores across the U.S. — improving its credit metrics given high leverage and weak cash flow, especially as more than $600M in notes mature in April of next year, according to MarketWatch. There is an overlooked aspect of Unibail Rodamco’s $16B purchase of Westfield that may be the most interesting part of the deal. As part of the transaction, the PropTech division set up by Westfield in 2012 will be spun off into a separate listed company with a value of about $305 million. Retail real estate completions came in just under 8 million sq. ft. in the first quarter of 2018, a 23% decline from Q1 2017. That plus a falloff in the number of store closures helped continue an ongoing trend toward an increase in net absorption and higher rents, according to CBRE Research. Gap Inc. is putting its muscle behind Old Navy, counting on the value apparel brand to drive its growth. It appears likely Toys “R” Us’ operations in Canada will live to see another day. Amazon's latest perk ... free delivery to your car. The Seattle company on Tuesday began offering delivery in 37 cities to Amazon Prime members who own newer General Motors or Volvo vehicles. Night Shift Brewing is opening a 12,000-square-foot brewery and restaurant near Boston's North Station. Real estate economists and analysts see strength in the U.S. economy over the next few years, which should translate into strong—albeit moderating—results for the commercial property sector. There is a great deal of new and existing retailers executing aggressive “new store openings” nationwide. That is according to Brandon Duff, regional director at Stan Johnson Co., one of the many we spoke with recently about the upcoming ICSC RECon event, held in Las Vegas. A rising marijuana retailer has opened a stylish-looking store in a pricey real estate district. The CEO of Bratz doll manufacturer MGA Entertainment Inc. says he will formulate a new deal to buy more than 200 U.S. stores from bankrupt retailer Toys 'R' Us after a Toronto company reached a tentative agreemet to buy the retailer’s Canadian stores for $237 million. Lampert's hedge fund, Sears' biggest shareholder, has asked the struggling retailer to sell the Kenmore brand and the chain's home improvement business. "Retail has to get creative," said Nancy Kyle, president and CEO of the New Hampshire Retail Association, which represents retailers big and small. "Anything to get people in the door." On the heels of a disappointing fourth quarter, Pier 1 Imports unveiled a three-year plan to improve its business in the long-term. It also said it is ceasing its dividend payments. The Bon-Ton Stores will be dark by fall. The embattled department store retailer announced that going-out-of- business sales will begin Friday, April 20, in its 212 stores and e-commerce websites. The liquidation sales are expected to run for approximately 10 to 12 weeks. Amazon is on pace to make a big name for itself across the apparel industry this year. The departure of Toys “R” Us from the retail landscape will give a boost to neighborhood toy shops. The online world is interacting with brick-and-mortar stores in radically new ways, fueling a revolution in how people shop, said Connie Chan, a partner at the Silicon Valley venture-capital firm Andreessen Horowitz. Ms. Chan said retailers are scooping up more data about shoppers and their habits than ever before, in both online and real-world settings, helping them fine-tune the ways they match buyers with products. Victoria’s Secret has a #MeToo problem. The lingerie giant’s sales have been sinking for more than a year as its pricey push-up bras and other fashions fall out of favor — but the #MeToo movement is also taking a toll on its brand, according to a YouGov poll. Among 18-to-49-year-old women, the brand’s buzz score — whether consumers are hearing positive or negative things about a brand — dropped more than 3 points over the past six months, to 23. CARSTAR is continuing to expand its footprint in the United States and Canada with more than 30 new store openings so far in 2018. The number of home improvement retail locations actually fell 1.1% year-over-year, according to UBS analysts, serving as one of the few examples of retailers who have a good handle on supply and demand when it comes to their fleet of stores. Home Depot Inc. and Lowe’s Cos. Inc. account for about 45% of the subsector’s sales, with both expected to continue to show strength in the topline. The end is in sight for The Bon-Ton Stores. The retailer rejected an offer from Isaac Larian, founder and CEO of toy maker MGA Entertainment Inc., to buy 274 U.S. Toys “R” Us stores, reported CNN Money. The $675 million bid reportedly was too low. The retail industry conflict is too often framed as physical retail versus online retail. Statistical analyses of the growth of ecommerce almost always get coupled with a story surrounding the decline of physical retail, with a heavy focus on the closure of malls. These two things are undoubtedly linked, but experts often communicate this as a zero-sum game. This ignores a fundamental human truth: People now and into the future will continue to leave the house and shop in physical retail. In fact, over 75–80 percent of purchases made today are still through physical retail channels. Amazon has more than 100 million Amazon Prime subscribers around the world, Jeff Bezos revealed in a letter to shareholders on Wednesday. The amount of retail space going dark in 2018 is on pace to break a record, as companies with massive floorplans are either trimming back their store counts or liquidating entirely. Wayfair is hosting an event that promises to offer prices and shipping perks that rival those offered on Black Friday. Rivals Amazon.com Inc. and Best Buy Co. are joining forces to sell television sets powered by Amazon’s Fire TV operating system. Pure Hockey, the largest hockey retailer in the U.S., is getting a bit bigger. Whole Foods Market has sent an email to members of its loyalty program announcing that it will discontinue its rewards program and digital coupons starting May 2, indicating that it will soon be folded into the Amazon Prime program. Jefferies analysts warned that any changes will be a hurdle for competing grocers. The Supreme Court sounded concerned Tuesday about doing away with a rule that has meant shoppers don’t always get charged sales tax when they hit “checkout” online. Target Corp. will start providing same-day delivery service from 60 stores in a handful of major cities this month. Northborough-based Bertucci’s has closed six of its 35 Massachusetts locations, as it seeks to emerge from bankruptcy with a new owner and on firmer financial footing. The Italian restaurant chain on Monday shut down three restaurants in eastern Massachusetts, in Wayland, Randolph and Taunton. It also closed three restaurants in the western part of the state, in Amherst, West Springfield and Longmeadow. To say that the American mall is dead is a gross exaggeration. While many shopping centers across the country are struggling, so-called Class A mall real estate, typically in densely populated major metropolitan areas with attractive demographics and innovative concepts, is doing well and piquing investor interest. The ultimate fate of Toys “R” Us locations will be sorted out as the company sells off its various parts; Isaac Larian, the founder of a toy company, announced on April 13 a last-minute bid to save part of the chain. But the stores wouldn’t be the only vacancies hitting the retail market. Glenn Rufrano, CEO of VERIET, recently commented on the company's portfolio mix. The only two bids at the start of a bankruptcy auction for department store chain Bon-Ton Stores Inc. were from liquidators, signaling the end for a company that at one time was part of the backbone of Wisconsin’s retail industry, according to reports Tuesday morning. Consumers aren’t running out to the mall in droves with their tax-refund dollars. In fact, it doesn’t seem that tax reform will put much money in apparel retailers cash registers at all -- at least not from shoppers. Despite major store closings, the retail vacancy rate in the United States held steady at 10 percent in the first quarter of 2018 in 2017 though it's expected to rise to almost 12 percent by the third quarter of 2019, according to Statista. Nadeau Furniture with a Soul, a solid wood furniture retailer based in Los Angeles, has opened its first area location at 750 Memorial Drive in Cambridge. The Northborough-based Italian restaurant chain Bertucci’s filed for bankruptcy on Sunday, revealing plans to continue operating under a new owner and to close 15 locations immediately. Gap Inc. is throwing in the towel when it comes to bridal wear. Bertucci's, the casual restaurant known for its authentic Italian foods and signature brick oven pizzas, today announced that it filed voluntary petitions for relief under Chapter 11 in the United States Bankruptcy Court for the District of Delaware (the "Bankruptcy Court") with Right Lane Dough Acquisitions, LLC serving as the Stalking Horse Bidder. Under the asset purchase agreement, the Stalking Horse Bidder has agreed to purchase substantially all of Bertucci's assets and assume certain liabilities, subject to higher or otherwise better offers. It’s still a longshot, but some Toys “R” Us stores may live to see another day. Only one shopper had walked into the spacious Men’s Wearhouse store here in the first hour after it opened on a recent Wednesday. But Will Muñoz, the store’s manager, chatted with 13 customers. Sales at U.S. retailers rose 0.6% in March to end a streak of three straight declines, the Commerce Department reported Monday, underscoring the improved financial picture of American households and the resiliency of an economic expansion that could turn out to be the longest ever. Overstock.com has a small but unmistakable advantage for anyone looking to buy a 3-cup Cuisinart Mini Prep Plus Food Processor for shipment to Germantown, Maryland: Purchasers don’t have to pay the 6 percent sales tax they’d owe at a local store. Craft coffee competition and questionable customer loyalty are likely to hamper Starbucks sales over the next two years, according to one Wall Street analyst. Doubters have questioned the strategic branding value of Macy’s placing its Backstage off-price shops in its full-price department stores. Even so, the chain is pushing on with the concept, planning to add 100 more Backstage shops inside of Macy’s to the 55 it already has in operation. Backstage, which initially began as a standalone concept, was intended as Macy’s off-price response to a wide variety of discounters, including Marshall’s, Nordstrom Rack, Ross Stores and T.J. Maxx. L Brands said on Thursday that an early Easter helped boost sales for the five-week period that ended April 7. Sales rose 7 percent to $1 billion compared with the same period in 2017. Nostalgia hasn't translated into dollars in a long-shot effort to crowdfund a future for Toys R Us. Neither did efforts to recruit other toy makers. Some Rite Aid Corp. shareholders plan to oppose a merger with grocer Albertsons Cos. that they believe undervalues the struggling pharmacy chain. Rite Aid’s shares have fallen about 20% since the companies said they would merge on Feb. 20, a sign of deepening investor disapproval. Albertsons is closely held. Rite Aid said Thursday that same-store sales fell 1.7% in its fourth quarter, the sixth straight period of declines for the key metric. Amid the steady stream of bad news about the retail real estate sector, CMBS analysts have found a glimmer of hope: mall loans originated in 2012 and underpinning $4.05 billion of CMBS deals are performing better than previous vintages and have better prospects for refinancing. Wynn Resorts Ltd. has engaged in early discussions to sell the $2.4 billion Wynn Boston Harbor casino in Everett to MGM Resorts International, the Wall Street Journal reported Thursday afternoon. Retail vacancy levels stayed relatively flat for the first quarter of the year, according to preliminary data from real estate research firm Reis. Industry experts say that despite accounts of retail bankruptcies and store closures, the sector is poised to stay the course. Gap Inc. is not underestimating the value of its big data.